The all-new 2019 Ram 1500 is built to deliver. Boasting superior performance and best-in-class V8 towing capability, this full-sized pickup truck is ready to tackle any job thrown its way. 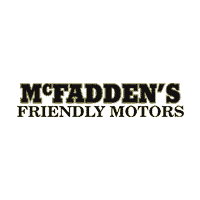 The product specialists at McFadden’s Friendly Motors near Benton Harbor, MI, have put together this informative research page comparing the various 2019 Ram 1500 engine options. Continue reading to discover which engine is best suited for your driving needs! If you are in need of more information regarding what the all-new 2019 Ram 1500 trim levels have to offer, view our Ram 1500 trims overview page. We also offer an impressive selection of 1500 offers to help drivers afford their new Ram pickup truck. If you have any questions, don’t hesitate to give our team a call at (877) 589-6292. Torque 269 lb.-ft. 410 lb.-ft. 410 lb.-ft.
Max. Towing Capacity 7,730 lbs. 11,610 lbs. 12,750 lbs. Standard Payload Capacity 2,100 lbs. 1,930 lbs. 2,300 lbs. View the table below for available drivetrain options of the all-new Ram 1500. All 2019 Ram 1500 models are equipped with an 8-speed automatic transmission. This TorqueFlite® 8 eight-speed automatic transmission operates in eight gears for quality handling and excellent performance in all conditions. The table below provides the axel options for each 2019 Ram 1500 model. Schedule a test drive to get behind the wheel of the all-new 2019 Ram 1500 at our dealership near Benton Harbor, MI! If you have any questions, contact us online or give our friendly team a call at (877) 589-6292 .